This classic silver and white arrangement is a stunning way to let that special someone know how you feel. Inspired by a romantic night sky, it's a dazzling way to pay homage to your years together. 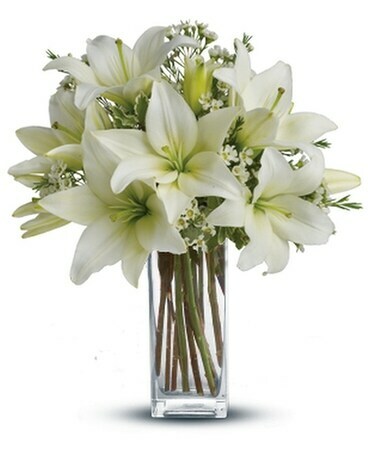 Elegant white lilies and pretty white waxflower stems are exquisitely arranged in a Glass Antique vase that's reminiscent of a star-filled sky. It really is a wish come true.